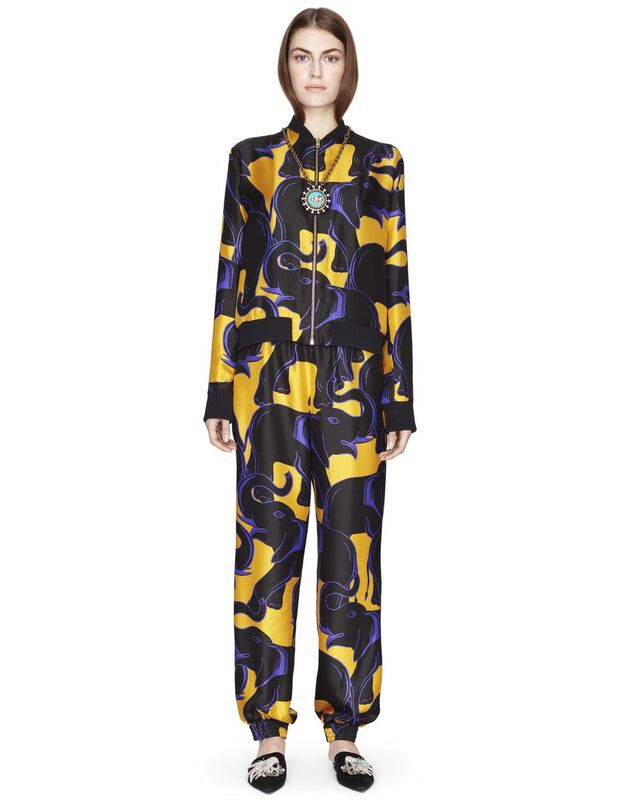 Dark purple "Elephant" print silk weave teddy jacket, long sleeves, small collar, ribbed cuffs and front gold-finish zip fastening. 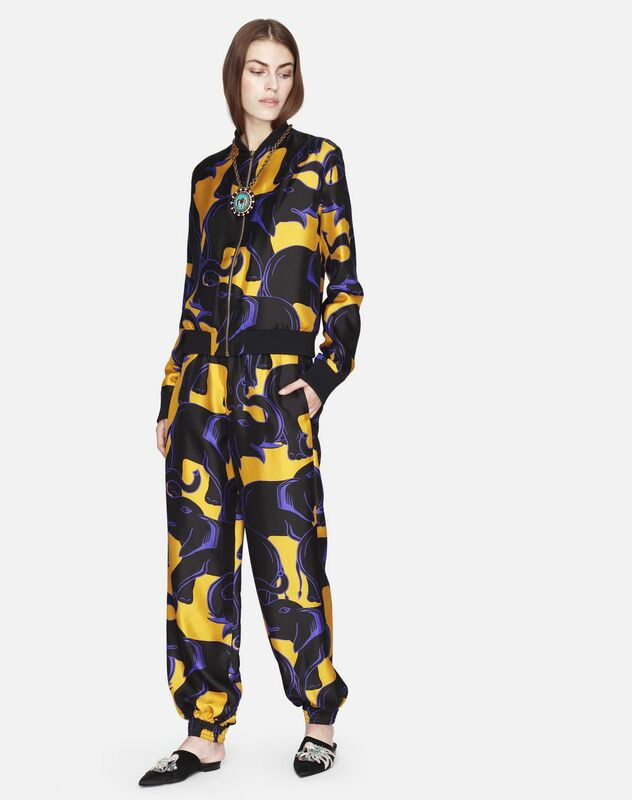 Inspired by travel, the season's key print is featured on this silk weave teddy jacket. 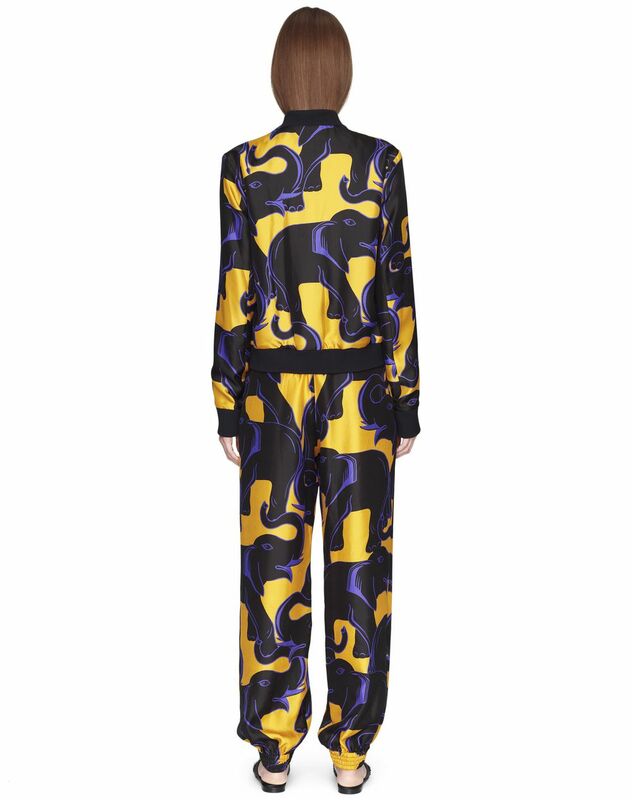 The graphic "Elephant" motif in an exquisite palette of seasonal colours gives this piece its unique flair. Comfortable and lightweight, it offers a loose, relaxed fit. Its modern, elegant cut, combined with the sheen of its luxurious material, make it a versatile piece that complements both casual and dressy outfits. Main material: 100% silk weave. 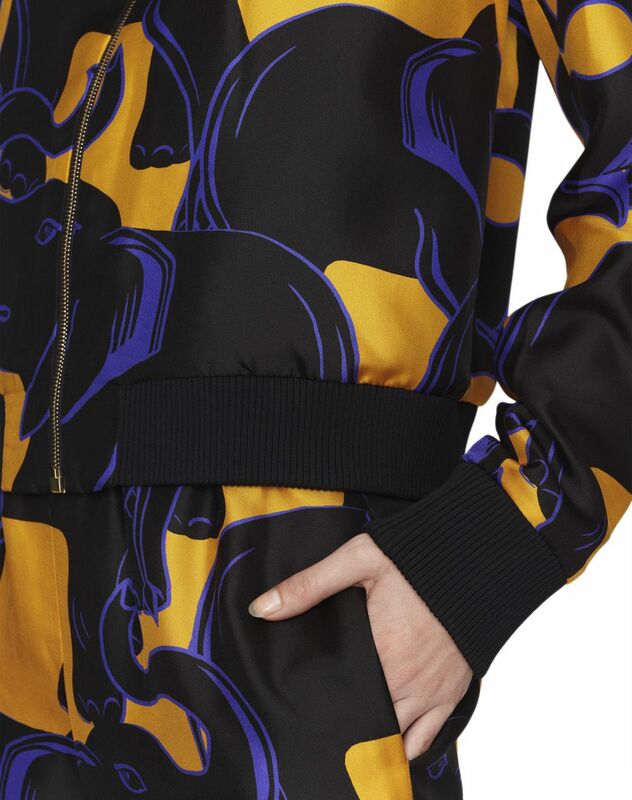 Lining: 100% silk weave. Model's measurements: Height: 178 cm Chest: 84 cm Waist: 59 cm Hips: 88 cm Model wears a size 4. Made in Italy.